Taku Nonomura is the aerodynamics/aeroacoustics reseacher. Especially he conducts the research on the acoustic waves from the rocket plume. 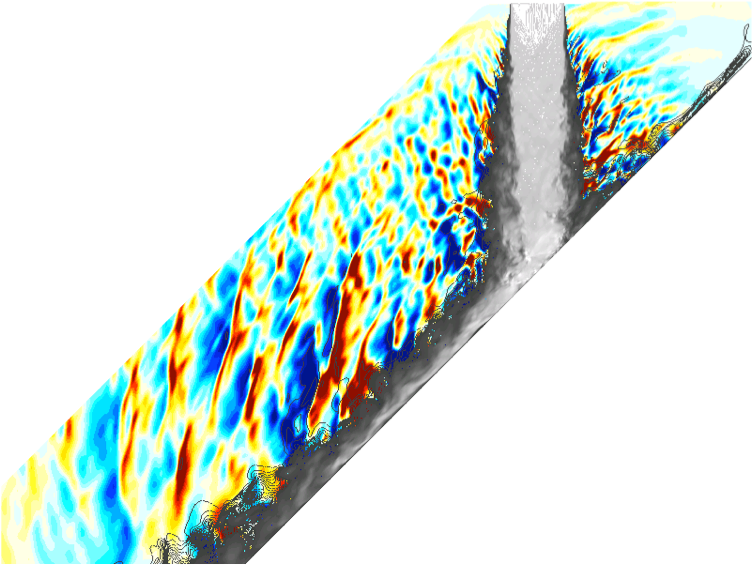 Following picture shows the acoustic waves from the hot jets impinging to the inclined flat plate computed by Goto, Nonomura and Fujii (to be presented). He graduated the Nagoya University in 2003. He got Ph.D degree from the University of Tokyo in 2008. He worked at the ISAS as a JSPS reseach fellow in 2009. He worked at the ISAS as a JAXA project reseacher in 2010. Now, he is the assistant professor in JAXA/ISAS.